More than a month after the May elections, Taur Matan Ruak has been sworn in as Prime Minister of Timor-Leste. But how much policy room will he have? Timor-Leste’s voters turned out in force for the parliamentary elections on 12 May, less than ten months since their last trip to the polls. The parliament they elected in 2017 was dismissed on 26 January after months of political wrangling and legislative paralysis in the wake of the appointment of a minority government led by the FRETILIN party. 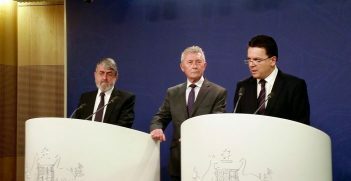 The three parliamentary opposition parties, seemingly improbable bedfellows, formalised an alliance in October, and worked in concert to stymy the government and force its dismissal. For the 2018 elections, the same three parties formed a coalition under the name Alliance for Change and Progress (AMP). Iconic resistance leader and political kingmaker Xanana Gusmao headed the joint party ticket. The coalition won 34 of the 65 parliamentary seats, one short of their combined numbers in the 2017 parliament. 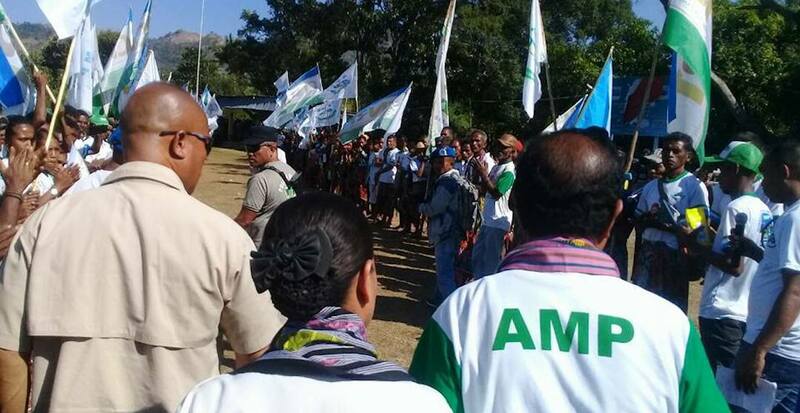 The three parties making up AMP are National Congress for the Reconstruction of Timor-Leste (CNRT); Popular Liberation Party (PLP); and KHUNTO, increasingly referred to as the youth party. Their joint ticket apportioned places on the closed party list broadly according to their numbers in the 2017 parliament. In the new parliament they hold 21, eight and five seats respectively. Personalities and personal history stamp each of the three parties. Xanana Gusmao heads CNRT, formed in 2007 as a vehicle for him to move from the national presidency into the more powerful office of prime minister. The party won the largest vote share of any party in the 2007 and 2012 parliamentary elections before falling just short of FRETILIN’s numbers in 2017. PLP is headed by former chief of the armed forces and later national president Taur Matan Ruak. The party’s formation coincided with the last months of his presidential term in the leadup to the 2017 elections. KHUNTO is headed by Naimori Bukar, the original founder of KORK, one of the country’s controversial martial arts groups. The party was formed in 2011 and came within a whisker of the vote threshold in the 2012 election, subsequently getting there in 2017. The historical relationship between the three parties’ leading personalities and political agendas could be summarised as complex. Gusmao and Taur Matan Ruak, former comrades in the armed resistance, have since had a chequered relationship of shifting cooperation and disaffection. Elected president in 2012 with Gusmao’s backing, Taur Matan Ruak’s strong advocacy of rural development and poverty reduction and his growing critique of Gusmao’s big spending and investment in mega-infrastructure programs put the two leaders on a collision course. It came to a head around the end of 2015 with Taur Matan Ruak’s veto of the annual budget, and an address to Parliament the following February directly challenging the exercise of power and privilege under Gusmao’s leadership. KHUNTO’s link with martial arts groups is also something of a talking point. Successive governments and parliaments in Timor-Leste, most recently in April 2017, have strictly regulated and restricted the activities of these groups and their affiliation with political parties. A 2013 government resolution signed by then Prime Minister Gusmao prohibited three groups outright, including KORK. The AMP election campaign, stronger on personalities than policies, offers little real insight into the likely fiscal strategy and spending priorities of the incoming government. The public policy challenges it is facing are considerable. 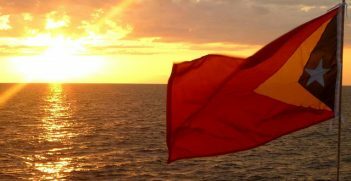 Reports over the last eight months from the International Monetary Fund and the World Bank warn that Timor-Leste could be heading towards a ‘fiscal cliff’ and call for bold fiscal and structural reforms. Existing petroleum resources are rapidly depleting, and prospective revenue from new developments is well into the future. Options for significantly curtailing public spending are daunting, with large segments of the population – veterans, the elderly, vulnerable women and the large public sector – dependent on public outlays and nationalistic sentiment driving expansive infrastructure development. Much of the population still relies on subsistence farming, the labour market is unable to absorb the massive youth bulge and undernutrition rates are amongst the highest globally. Taur Matan Ruak observed in April that uniting the three opposition parties was not easy, but they were determined to achieve a single objective: to win the elections and to form government. Now that this objective has been achieved, it remains to be seen how united they will be on the government’s program and priorities. Whatever program the incoming government embraces, it may hit obstruction from elsewhere in the system. First, it will be up against a seasoned parliamentary opposition. FRETILIN, the largest opposition party, has been around since 1974, was the principal architect of the country’s constitution and used the constitutional machinery to good effect to hold the government to account during its 2007-2012 term on the opposition benches. It has already signalled a resolve to function as a determined opposition in the new parliamentary term. The government will also have to run the gauntlet of presidential powers in Timor-Leste’s semi-presidential system. The President, Lu’olo, is a leading FRETILIN figure and maintained his party affiliation when stepping into the presidency, ending the succession of non-partisan presidents since independence. Gusmao, perhaps anticipating trouble, fired a warning shot a few days after the election, cautioning the President to serve the interests of the nation and not to exercise his legislative veto for partisan purposes. Prime Minister Taur Matan Ruak will also be governing in the shadow of Xanana Gusmao who, based on past performance, is unlikely to relinquish his influence or his agenda. When he stepped down from the prime ministership in 2015, he retained the powerful planning portfolio and still controlled a large slab of the national budget (although he was positioned at the bottom of the ministerial list). This time he was ranked second on the proposed ministerial list with the title of Minister of State Counsellor of the Prime Minister. While the Prime Minister and 27 members of the executive were sworn in on 22 June, the President held back on 11 of the Prime Minister’s nominees, mostly people from Gusmao’s own party. Gusmao in response refused to be sworn in, decrying the President’s position as “unprecedented, seditious and politicised”. It seems that the fault lines are already appearing. Dr Sue Ingram is an honorary senior policy fellow in the College of Asia and the Pacific at the Australian National University. She has worked at senior levels of government and in international and regional peacebuilding and has an association with Timor-Leste spanning more than 40 years. The 12 May elections in Timor-Leste may herald greater stability under a majority government, allowing the focus to shift to national development. With one of the youngest populations in the Asia-Pacific, Timor-Leste must prioritise investment in its youth.